Ms. Denton wins another STEM grant! Congratulations to Covey Denton! 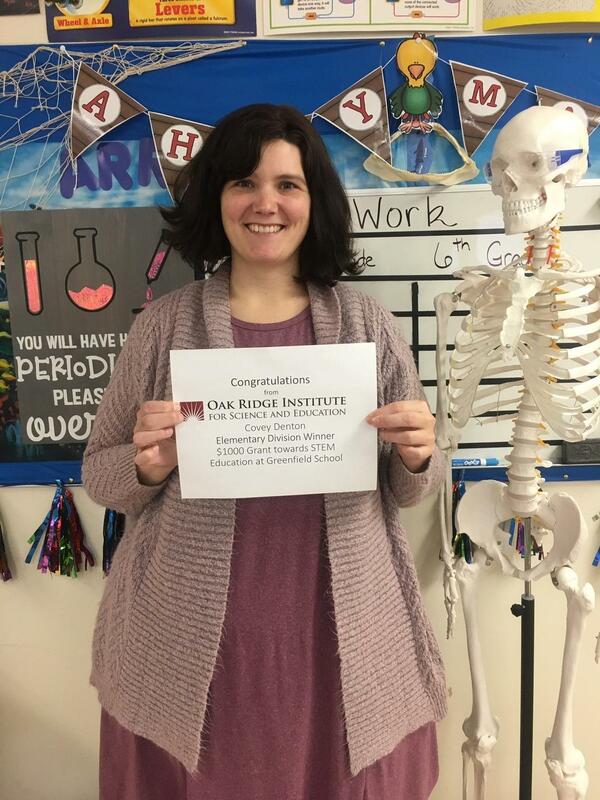 Her lesson, Animal Adaptations and Thermal Insulators and Conductors, has placed as a grade division winner in the ORISE STEM lesson plan competition. As an elementary school grade division winner, she will be awarded a $1,000 mini-grant to use to purchase STEM materials for her classroom.